If you start a business to be recognized, gain the praise of friends, family and peers, be validated, make a million in a minute or make it all about I, me, my then it becomes problematic and you risk getting emotionally stuck. It's not like people set out to be ego driven, it just happens especially if you're new to the online space and are bombarded with so many ads and posts of people trying to stand out and project themselves that it can make you feel anxious and do stuff or be someone you normally wouldn't. But if you can you get aligned with your true core premise, your why and your purpose and, infuse it with your business, I promise you'll be on fire, and growing your own tribe will be easy. Yes! Easy. if you're not achieving the results you hoped for, It's my wish that you don't take it personal or blame yourself. 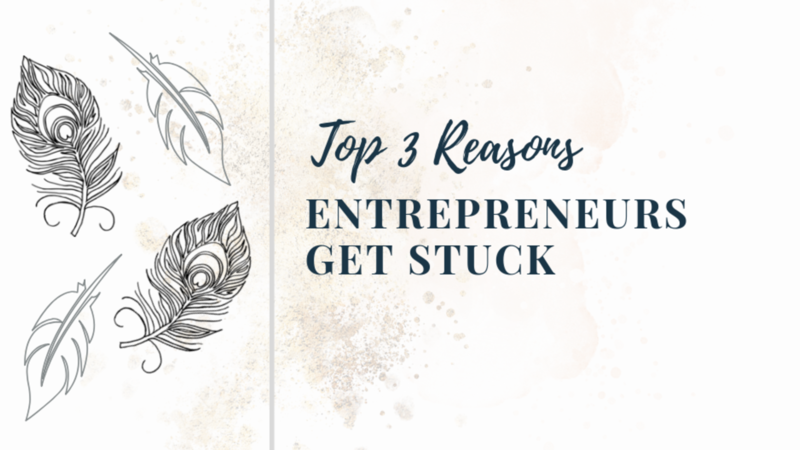 You just need to get caught up on a few key principles that will help you separate your self-worth from your business. Because your business might be an extension of you, but it is not YOU. You're the driving force and when you show up as YOU (not who you think you should be), your tribe will hear you, and they'll embrace your message and want more of you.